Founded on April 18, 1994 by Atty. 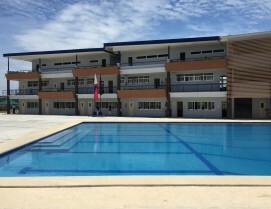 Hernani N. Fabia, PNTC Colleges was originally named as Philippine Nautical Training Institute or PNTI. Its primary purpose then was to provide basic and specialized courses pursuant to the 1978 International Maritime Organization (IMO) and the convention on Standards of Training, Certification and Watchkeeping for Seafarers (STCW). 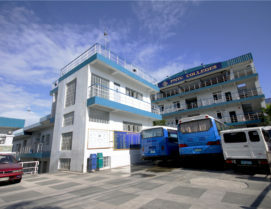 On December 6, 2001, PNTI became Philippine Nautical and Technological College (PNTC) with the intention to expand its primary purpose to operate as a maritime institution with three-fold functions, i.e., as a Maritime College, Maritime Training Center, and a Seafarers Competency Assessment Center. 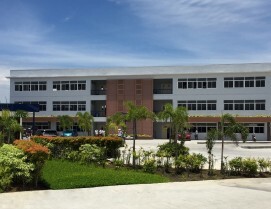 The name change appropriately highlighted the successful expansion as PNTC began to offer college courses such as Bachelor of Science in Marine Engineering, Bachelor of Science in Marine Transportation, and Bachelor of Science in Customs Administration. 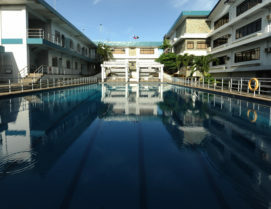 On October 29, 2004, Philippine Nautical and Technological College was later changed to simply PNTC Colleges, which has now become the official name. The purpose was to embrace its roots as Philippine Nautical Technological Colleges but at the same time, usher in a new era for the school. PNTC Colleges now offers courses not limited to the maritime industry such as Bachelor of Science in Accountancy, Bachelor of Science in Accounting Technology, and Bachelor of Science in Business Administration. Over the years, PNTC Colleges has been true to its commitment to provide the highest quality of training and education to Filipinos. It has consistently complied with the standards of excellence required by the Commission on Higher Education (CHED) and the Maritime Industry Authority (MARINA). Moreover, it is also certified by TÜV SÜD Philippines to have compliance to the quality standards of ISO 9001:2015. With Virtue and Quality at the heart of its policies, PNTC Colleges is proud to be renowned as one of the best maritime colleges and training centers in the country and also as growing educational institution in business. Having the best and most complete maritime facilities, qualified and competent instructors and teachers and an enduring dedication to quality has allowed PNTC Colleges to become what it is known for today. More importantly, it has equipped its students and trainees with the skills and discipline to fulfill their dreams and to become competitive wherever they may be.